To insert table in blog post using blogger post editor is quite difficult, you need to know the HTML codes and then have to construct the table by arranging the tag manually in post editor. If adding html tables to blogger post has been a difficult task for you, then be glad you found this post. Today i am going to show you a well detail and the best method to add table in your blog post, without a stress. You can create tables in your blogger post even if you don't know how to code in HTML. Blogger post editor does not include the create table features like wordpress. So for blogger you will have to construct your table manually via the HTML post editor. At first we will make the table on Microsoft word, Microsoft Excel, Open Office or any other spreadsheet software, then convert the table to HTML codes and then finally insert it into blog post. How to create a Blog: Blogger Getting Started Guide. 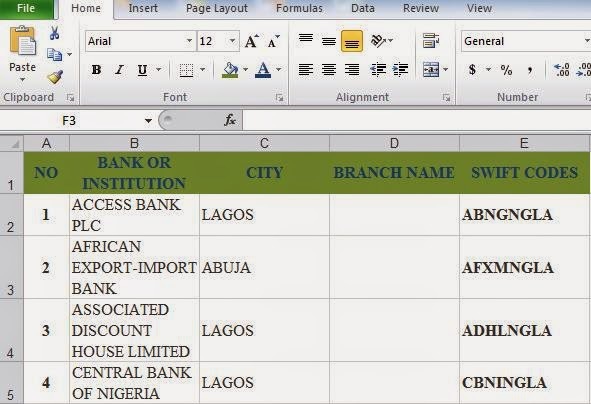 1) Create the table using Microsoft Word, Microsoft Excel, OpenOffice or any other spreadsheet software. 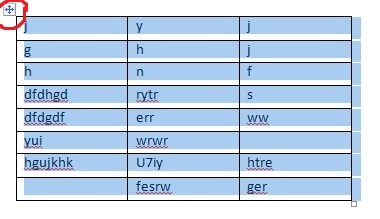 4) Complete the table with whatever you want to write. 5) Select the table by clicking the following highlighted option, it will appear on mouse hover. 6) Right click and then click Copy or use CTRL C to copy. 1. Go to Tableizer and paste the table you copied into the text field. 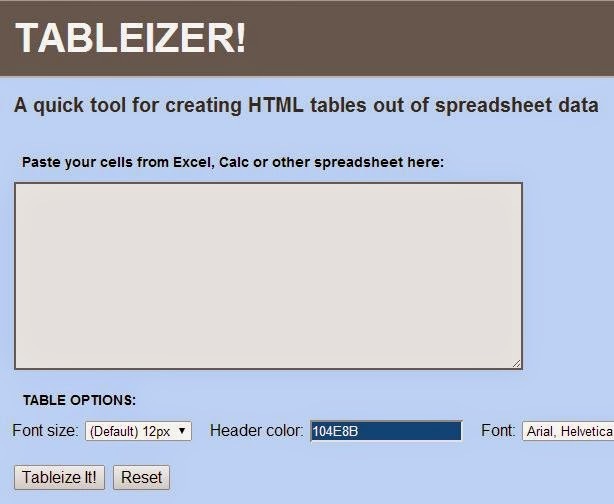 Tableizer removes the extra markup from your table and leaves you only with a lean table code. 2. You can customize the font type, font size and the color of the table heading if you want. 3. Finally click the Tableize It! button to create your HTML table. 4. This tool then generates a set of HTML and CSS codes for you to copy. It also shows you what your table looks like. 1. Copy the codes provided and paste it in your post HTML. How to create new post to your blog. 2. Click the compose mode to see how it looks like. 4. Hurray!!!! You have got yourself a table! I hope this info helps? Feel free to share this post with your friends using the like/share buttons. If you got any problem with the above guide, then don't hesitate to let us know via the comment section.